LCDs. They’re fun. 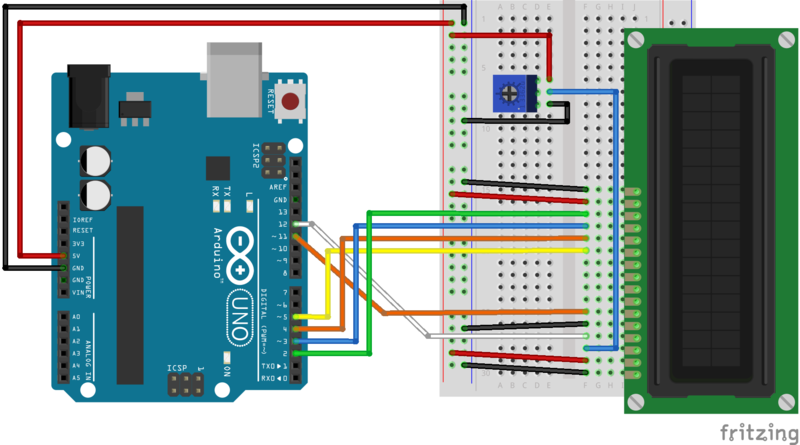 It’s one of the coolest ways to bring a voice to your Arduino as it speaks through glowing text. 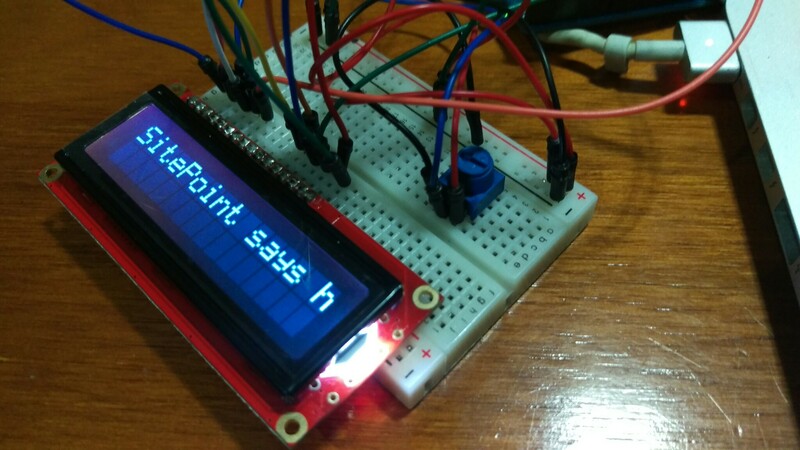 In this article we’re going to explore how to bring in data from a web API and display it on your Arduino’s LCD using Node.js. My favourite meetup of every month here in Sydney is the IoT Sydney meetup. It’s a great meetup (you should come along!). At the end of every meetup, there is a random prize draw for those who RSVPed. I thought it was about time that this was done in true IoT style, so I put together a quick Arduino LCD set up that pulls in Meetup.com event RSVP info and then randomly selects a lucky member. Thought it might be a nice surprise and way easier than drawing names out of a hat! It also falls in neatly with the current series of Internet of Things articles I’m writing here at SitePoint. I’m exploring the many different IoT possibilities out there with various devices. Last week, I looked at using IoT data in the Unity game engine and before that, I looked at how to pull in data from the Jawbone Up. 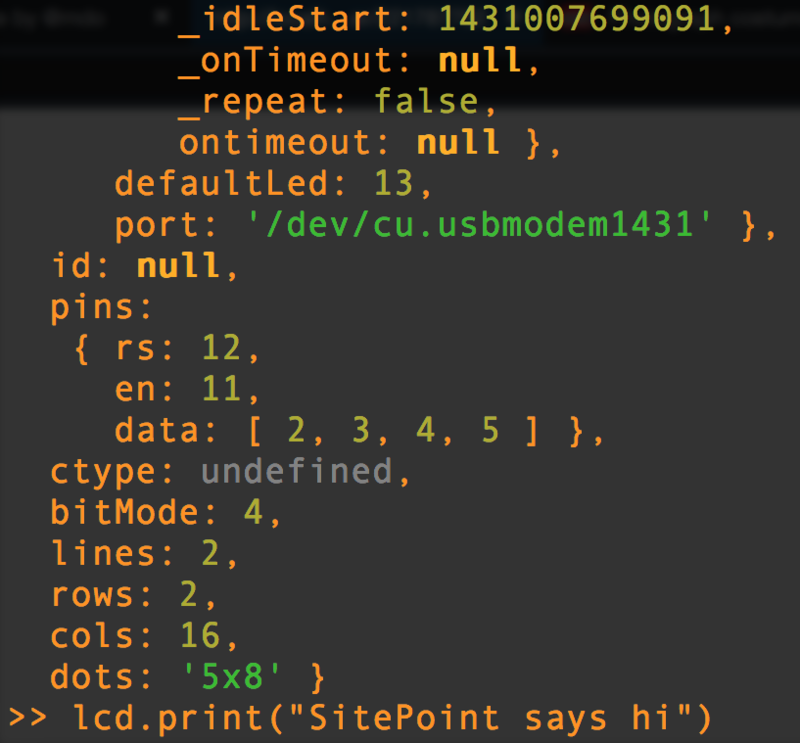 If you’re pretty clued into Node.js, much of that code will already make sense to you. I’ll explain each bit just to ensure everyone is on the same page and provide guidance along the way on anything else we’ll need to set up. We’ve then got a rather important thing to include, johnny-five. 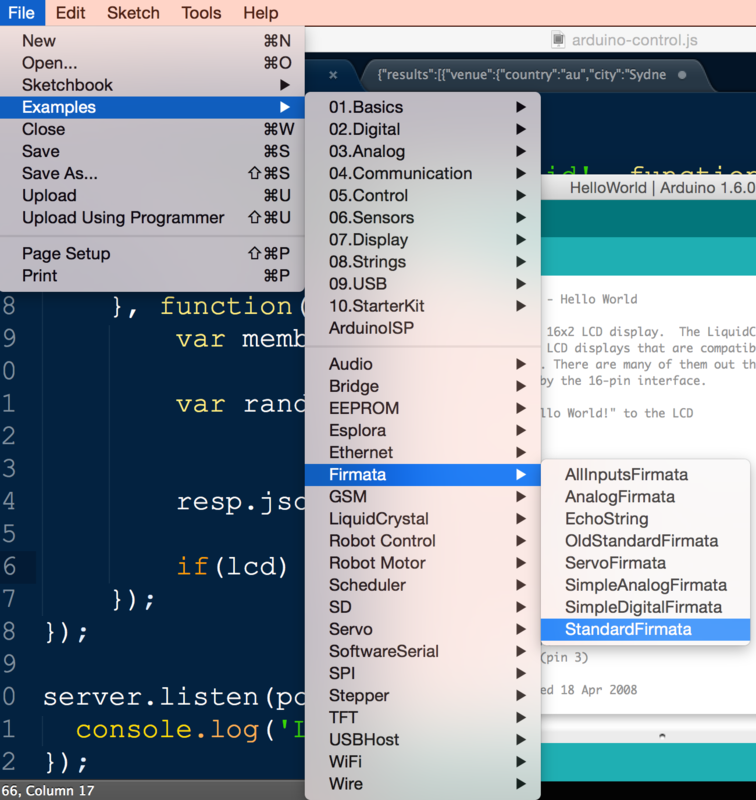 This is the npm library which gives us access to the functions we’ll need to control our Arduino via Node.js. After that, we’re including the request module. We’ll be using this to make http requests from our Node.js server to the Meetup API. To keep things very clean and simple, we’ll be using underscore to go through the arrays of data. 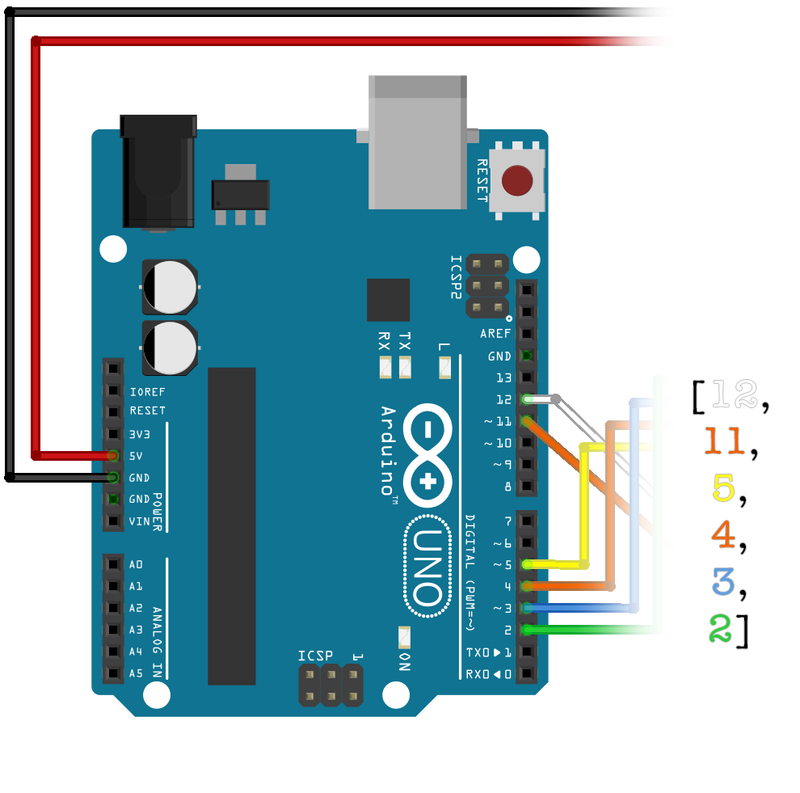 The final two variables are the board and lcd variables that we’ll use to store the Arduino objects that johnny-five creates. We begin by waiting for our Arduino board to be ready to access, johnny-five sends a “ready” event when our board is ready to go. Then we get to the complex bit of the code! Our actual HTTP request to the Meetup API. We access this via the request function. We pass in two things here, our http options for the request and our callback function. Finally, we’ve got our callback function which uses the returned JSON data. I’ve kept it simple and without error handling, however if this is a serious production level creation – add a check for the error variable. We filter out a lot of that by using the _.pluck() function in underscore. 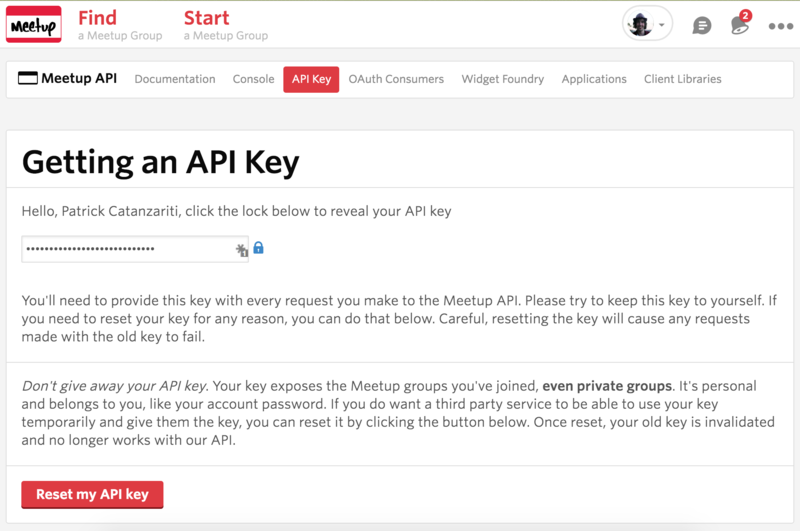 This will help us focus on the important bit of our API – the members who RSVPed. The _.pluck() function goes through the results array and takes only the member info from each one. Then, we use the _.members() underscore function to randomly select a member from the resulting array. Then we use the lcd johnny-five object we set up earlier to print out the name of the member onto our LCD. We start by using lcd.clear() to clear the LCD of anything currently on it and then use lcd.print() to print out the name characters. You’ll notice when you run this that some long names will get cut off, rather than wrap to the other line. If you’d like to wrap things onto a second line, try separating your randomMember.name into two 16 character strings, print the first string and then use lcd.cursor(1, 0); to move to the second line before printing the second one. In my case, it wasn’t needed as all we really need is to be able to tell whose name was drawn – a few missing characters usually won’t cause issues here. Feel free to adapt that to your own project, the main thing you’ll want is those dependencies. If you run it again, a new rsvp will appear. 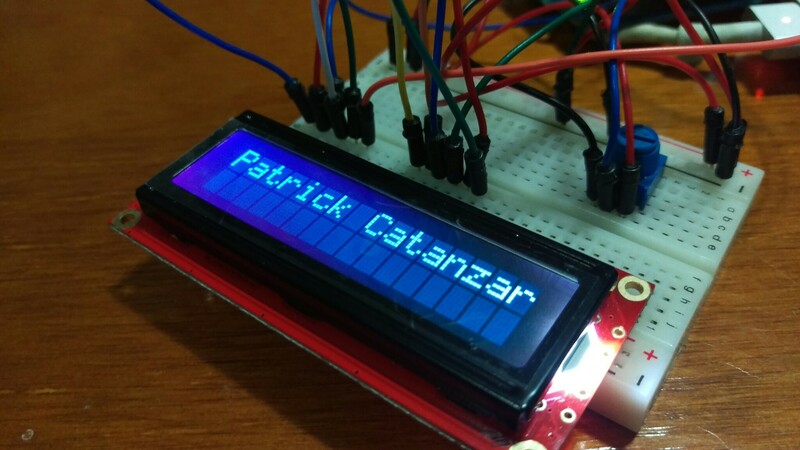 If all is going well, these names should be appearing on your Arduino’s LCD! Well… our message almost fit at least! We’ve successfully got a randomly selected member of the event group appearing on our LCD! This same idea could be applied to any number of other APIs out there, just adjust the request call and how you handle the data. Leave spooky messages on an LCD for housemates, keep tabs on the latest NBA playoffs scores or whatever else takes your fancy! Make something fun based upon this code? Leave a note in the comments and share it around, I’d love to see it!